You have to wonder what they thought in Tuscaloosa, Spartanburg and Chattanooga last week when it was reported that our President complained during his visit to Europe that German automakers were selling too many of their vehicles in the United States. You have to wonder what they thought in Tuscaloosa, Spartanburg and Chattanooga last week when it was reported that our President complained during his visit to Europe that German automakers were selling too many of their vehicles in the United States, while American automakers sell very few of their vehicles in Germany. Well, technically, General Motors did sell quite a few vehicles in German during its long ownership of Opel, and Ford not only has an assembly plant in Cologne, but recently reported that every other minute, someone somewhere in Europe — and that includes Germany — purchases a brand spanking new Ford Fiesta. No, that is not some German law firm. 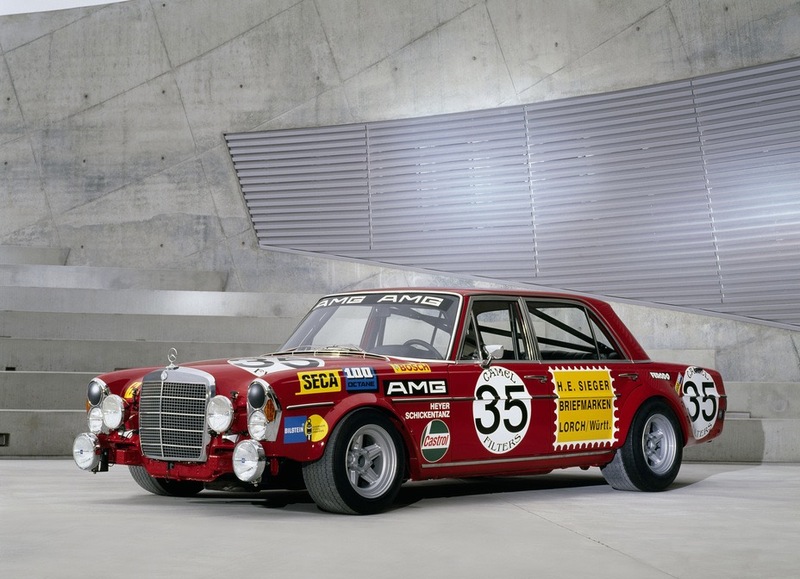 But 50 years ago, Hans-Werner Aufrecht and Ehrard Melcher were engineers at Mercedes-Benz who were so interested in auto racing that they set up their own company, which they named after themselves and the town where Aufrecht was born. 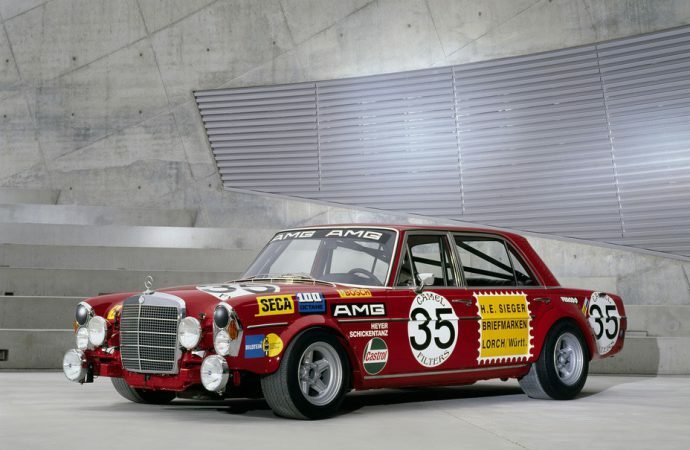 Thus AMG, which four years after its founding as what we’d now call a “tuner” shop made its competitive debut with a 300 SEL 6.8 sedan-turned-race car that won its class and finished second overall in the 24-hour race at Spa-Francorchamps. AMG would become the most successful brand in the German touring car series — ah, the 190 E! — and by 1993 was producing the C36 AMG model in collaboration with Mercedes, which by the end of the century had taken majority ownership in the company and in 2005 became a wholly owned subsidiary of Daimler AG, and since has turned out nearly 100,000 vehicles, including some extremely high-performance supercars. Early on, AMG specialized in hot-rodding and then in creating entire high-performance engines, each of them assembled by hand, each by a single individual, who took so much pride in the work that he signed the engine when it was finished. I learned this and more sometime in the early 1990s when I visited that AMG facility in Affalterbach. My recollection is that the visit was part of a visit staged to introduce American auto writers to the C36. Another thing I learned during that visit was that C-Class Mercedes were widely used as mundane taxi cabs in Germany. However, there was no yellow cab in the C36, a car that so impressed my publisher at AutoWeek magazine that he bought one. Another press junket to Germany. This time, to drive Volkswagen’s most fuel-efficient, and thus excruciatingly slow, car but also to ride around the company test track in one of its fastest creations. Enhancing that ride would be the fact that the driver would be VW’s chief executive Ferdinand Piech, who also happened to be the grandson of Ferdinand Porsche. As you know, Piech was a genius engineer and a ruthlessly aggressive business executive who created some of Porsche’s most awesome racing machines, engineered quattro and built Audi into a global brand, brought VW back from the brink of bankruptcy and bought Bentley and Bugatti, among others. And then he was ousted recently as part of the VW diesel debacle. But back to that day in Germany, when Piech was to park himself in the driver’s seat of the hopped-up VW and drive a succession of visiting journalists around the test track. The plan was that after the laps were finished, Piech would leave and we’d move inside for lunch. At least that was the plan. For some reason, perhaps he was simply having a lot of fun, Piech followed us into the room where lunch was served. I was sitting alone at a table when I looked up and there was Piech, standing there with his food tray, and asking if he might join me. Immediately, VW public relations staffers were scrambling, with one or two of them joining us and several other reporters, the reporters eager to chat with one of the world’s automotive icons, the PR folks fretting over what that icon might reveal. I could hunt through back issues of AutoWeek to see what all he said as we ate. We did talk about cars, but I also seem to remember that we talked about our families and the sorts of things people chat about over lunch. I’m sad to see a person, who just turned 80 and who had done so much in his professional life, being forced into retirement under such a dark cloud. Another lesson, perhaps, in lingering too long, something I saw often back in the days when I was a newspaper sports editor. On the other hand, I cannot blame someone who likes what he or she does so much that they don’t want to walk away, ever.